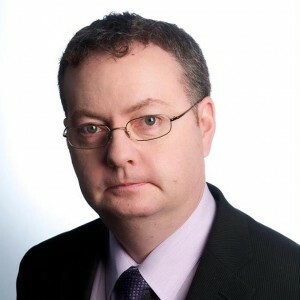 Fianna Fáil TD for Cork North West Michael Moynihan says the latest report from the National Oversight & Audit Commission “reflects Fine Gael’s utter neglect of roads funding across Co. Cork”. The report reveals that Cork county has the worst regional roads in the country, and comes second in terms of the worst local primary and secondary roads in Ireland. Deputy Moynihan said, “The findings of this report will come as no great surprise to anyone who has to drive around Co. Cork. There are dozens of roads across the county that are in a dangerous state but the government’s refusal to allocate the necessary funding means that they have been left in a state of disrepair. “Over the past number of years, the level of funding allocated for road maintenance has been running well below what’s needed and serious road safety issues have arisen as a result. Road surfaces are uneven, there are large potholes on several non-national roads and disappearing line markings are making driving conditions on our roads extremely dangerous. “This report is merely reflecting the situation on the ground. In 2016 and 2017 Ireland saw two particularly bad winters, and many of today’s problems stem from the fact that the snow and icy conditions experienced at that time left many parts of the roads network in disrepair and in need of essential upgrade work. These sub-standard road conditions are not only leading to treacherous driving conditions, they are causing serious damage to cars. “Despite flagging these issues time and time again, and emphasising the importance of maintenance and repair work, Minister Shane Ross has refused to allocate additional funding for this essential work. “Unless funding is approved, we will only see a continued deterioration in our roads. This will not only have an impact on local areas, but has serious implications for road safety as well”, concluded Deputy Moynihan.